Pride is rooted in the personal world around you, including your yard. The Turf Medic team is ready to implement a plan that leads to a thicker, greener, healthier lawn for you to enjoy, while keeping pests at bay. Led by a North Carolina Certified Turf grass technician, we know what it takes to help your surroundings flourish. 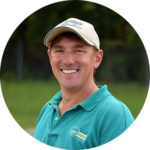 As president of Turf Medic, Stephen has cultivated a reputation for his driven character, attention to detail, and expectations for only the highest quality. When he launched his award-winning business, Steve set a very clear mission. He aimed to help others experience outdoor spaces in ways that transformed them. With some 15 years in the field, he touts many credentials. 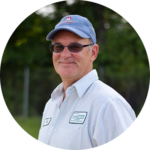 He’s a certified North Carolina Turfgrass Professional (ncctp), Registered Landscape Contractor and Certified Plant Professional. Today, Steve’s passion for the natural world shows in everything he does. When he’s not creating sustainable landscape showpieces, he’s usually outside with his and Danielle’s two sons. A sports enthusiast, Steve has coached his boys’ soccer and golf teams quite a bit over the years. For him, athletics are a lot like the industry he represents: There’s always a new challenge and conditions rarely are predictable. However, with a thoughtful game plan, sound technique and commitment to hard work, the promise of successful outcomes grows strong. 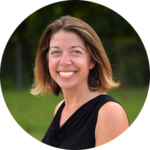 Harnessing knowledge from some 10 years of industry service, Danielle acts as Vice President / COO of Turf Medic. Managing the day-to-day processes of a successful operation just seems to come natural to her. See, Danielle is a specialist in handling many moving parts. With two degrees –one in Applied Sciences and one in Bachelor of Arts – she’s used to divvying up her attention to issues that matter most to clients. When she’s not tackling needs on the fly at her business, she’s keeping pace with her and Steve’s two young sons. An avid cooker, baker and lover of the outdoors, Danielle knows how much she enjoys her free time. Her Turf Medic goal is to create landscapes for clients that trigger this same type of appreciation – a moment to take a break, ease back and admire beauty. At the root of Ray’s 18 years in landscaping lives a zeal for growing all things meaningful. Of course, this applies to the yards he oversees as Turf Medic’s Lawn Care Manager, but it’s also reflective of the client relationships he’s established. Holding an N.C. Pesticides License and nearly two decades of industry expertise, Ray understands the formula for lush, healthy plants. He also knows the key ingredients to a lasting connection with people: Respect and a willingness to listen. When he’s not applying these core principles on the job, Ray uses this passion to help others by way of community outreach through his church. 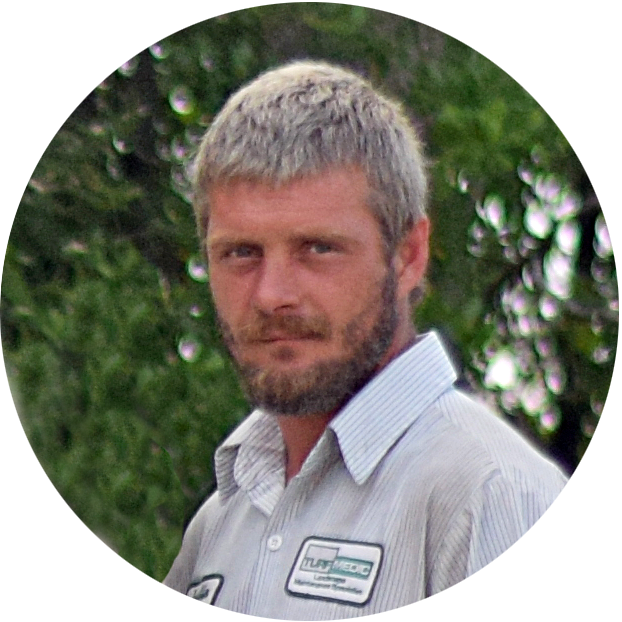 For more than a decade and a half, Justin has helped shape landscapes around the Southeast. As a Maintenance Foreman for Turf Medic, he’s guided by a desire to create good-looking communities. As an N.C. Pesticides License holder, he approaches his work with two principles in mind: Make home owners proud of their property, and do the job right the first time. Justin’s love of the outdoors does not end with his craft. When not helping clients, he’s spending time with his kids – usually camping, enjoying the beach or coaching sports.